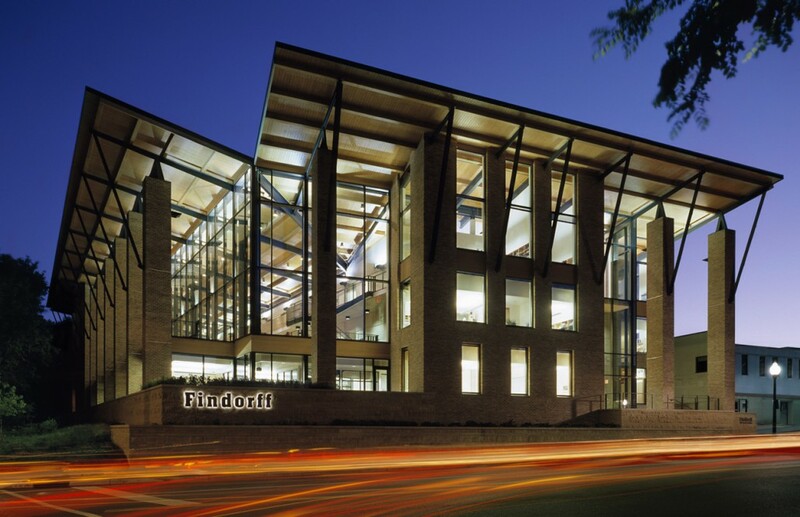 Findorff had several goals for their new headquarters; a structure that would complement their lakefront site, stand the test of time, and highlight the talents of their tradespeople. While Findorff works with many architectural firms, they found what they were looking for in a design from Potter Lawson. Using natural materials, the three-story, 38,000 sf office has a contemporary loft feel. The interior has a two-story workspace and a new workout facility, which encourages communication and interaction. Placing the open office along the southeast exposure provides occupants with abundant daylight and a view of Lake Monona. 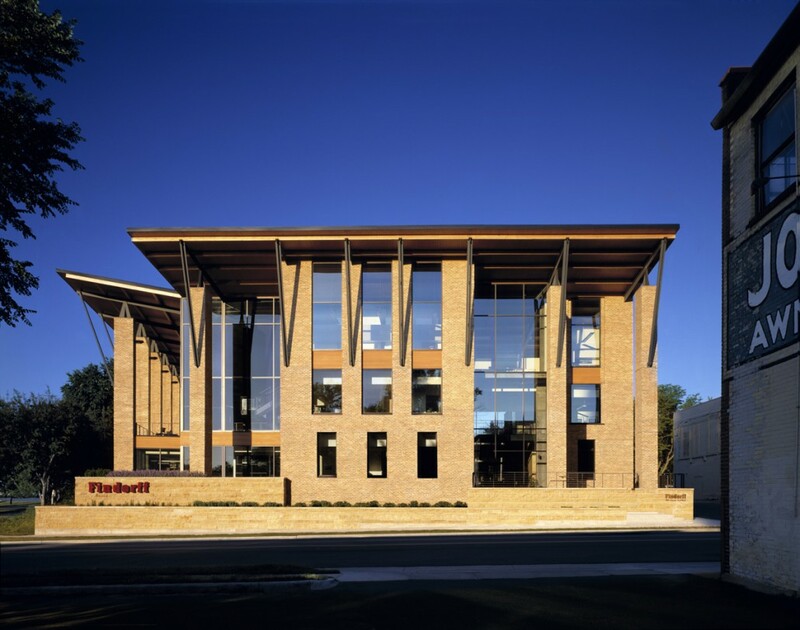 Exposed structural elements showcase Findorff’s concrete, steel, wood, drywall and masonry craftsmanship. Board formed concrete walls are exposed in the lobby and complement the limestone floors. Baltic birch wood wall panels and steel framed bridges with cable handrails make for a dramatic two-story lobby space. 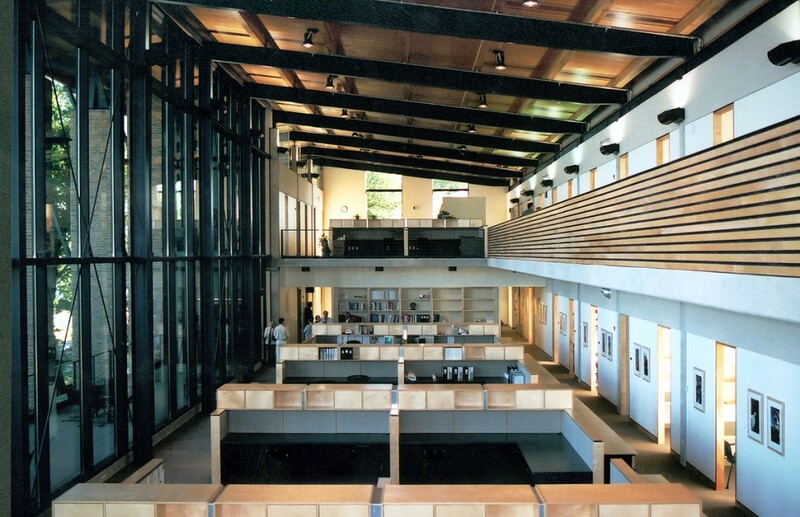 Structural steel framing and wood roofing are exposed to create the loft-like work environment.